Looking for more space to store all of your outdoor equipment? 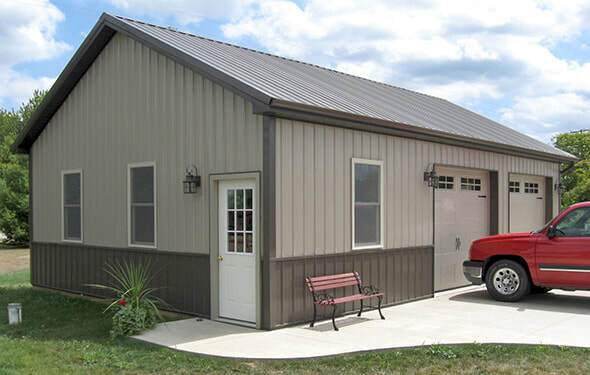 Need covered storage for your toys; boats, motorcycles, RV's, cars and tractors? Maybe you're after a workshop with the ultimate (wo)man cave in the attic? Or, maybe you need storage for hay or for your animals and horses? Whatever the need, you have come to the right place! 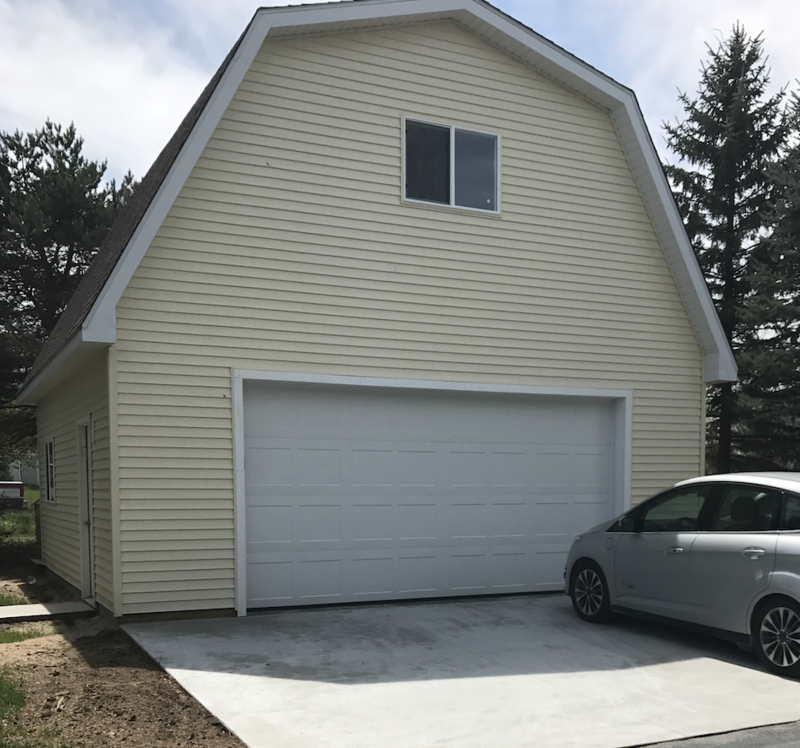 Chelsea Lumber has passionately designed and built many thousands of barns and stick built garages over the past 45+ years. Can we do basic, no frills barns? Yup, we sure can! 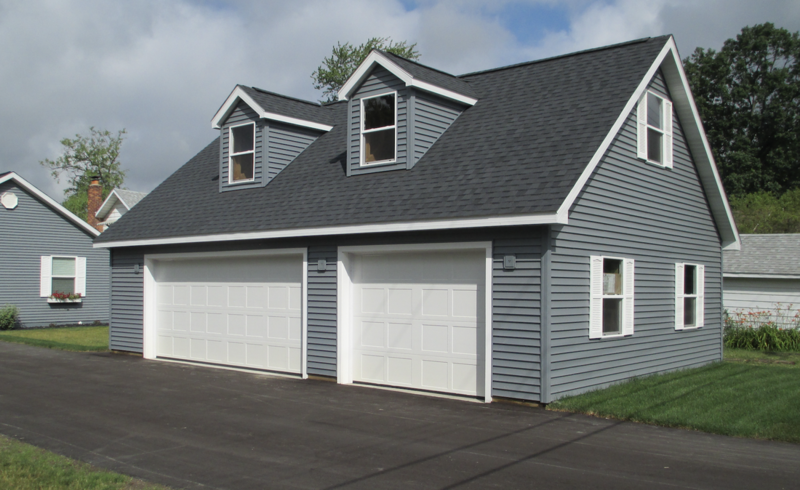 Can we build a 2 car stick built garage with storage and dormers? Yup, we sure can! 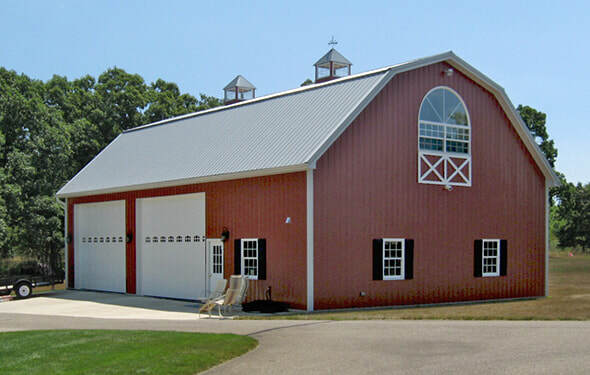 Can we custom design and build barns that have unique architecture and feature many different uses and spaces? Yup, we sure can! 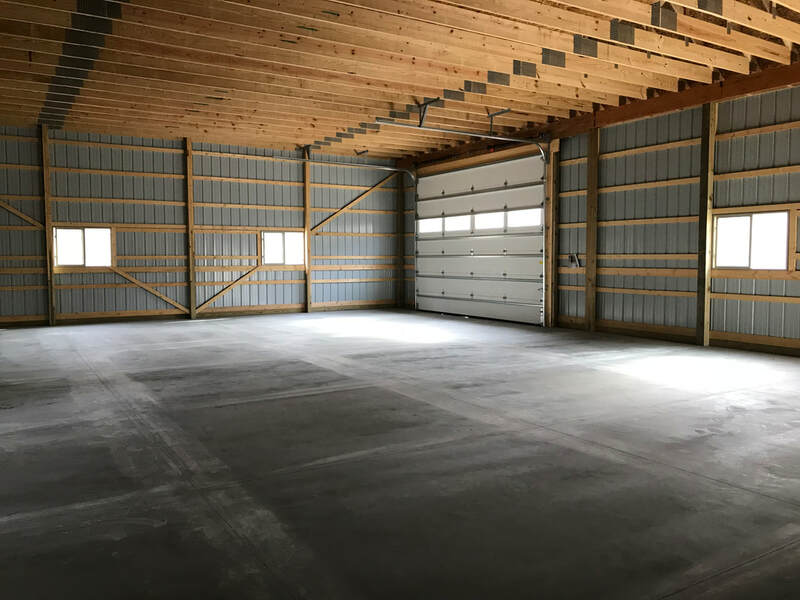 Whatever you might be looking for, our knowledgeable and experienced pole barn and garage team is up to the task of understanding your wants, needs and uses for the space. Professionally guiding and educating you to help understand your options and make the best decisions for your project. 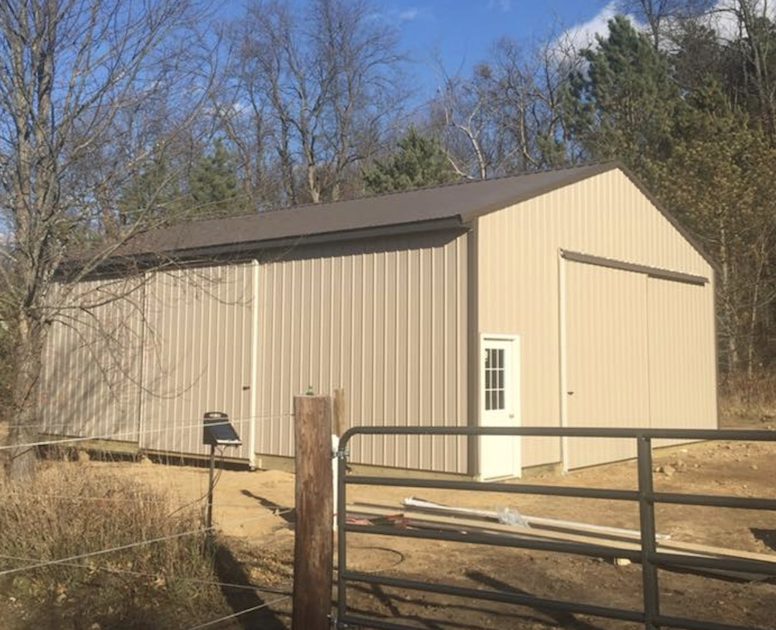 Together with our professional installation crews (with many years of experience), we will ensure your barn is built and completed correctly. 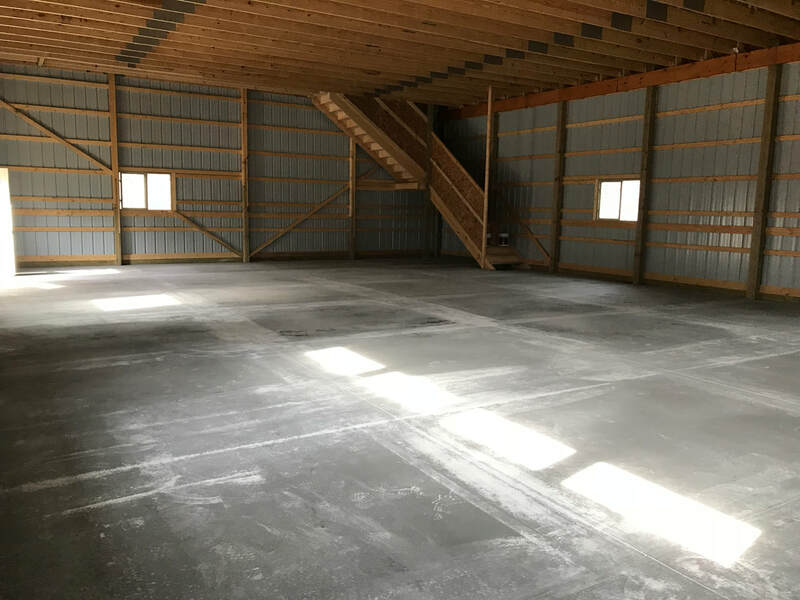 We are committed to providing our high quality building standards from beginning to end to provide you a professional building experience. 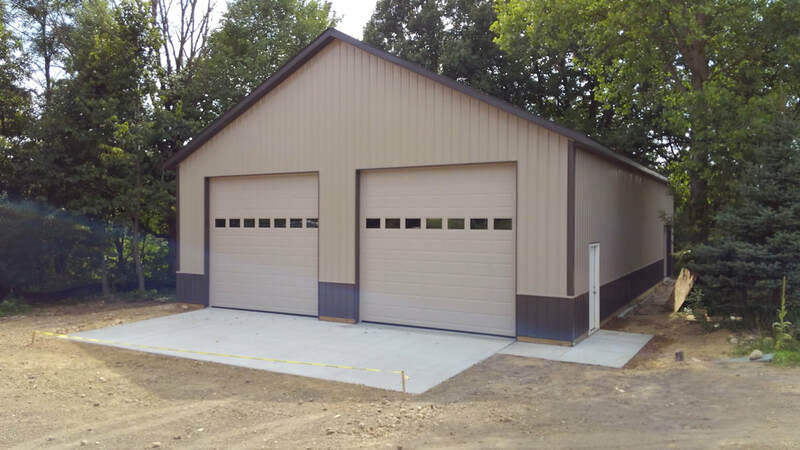 Give us a shout today to see what our pole barn and garage staff can create for you! 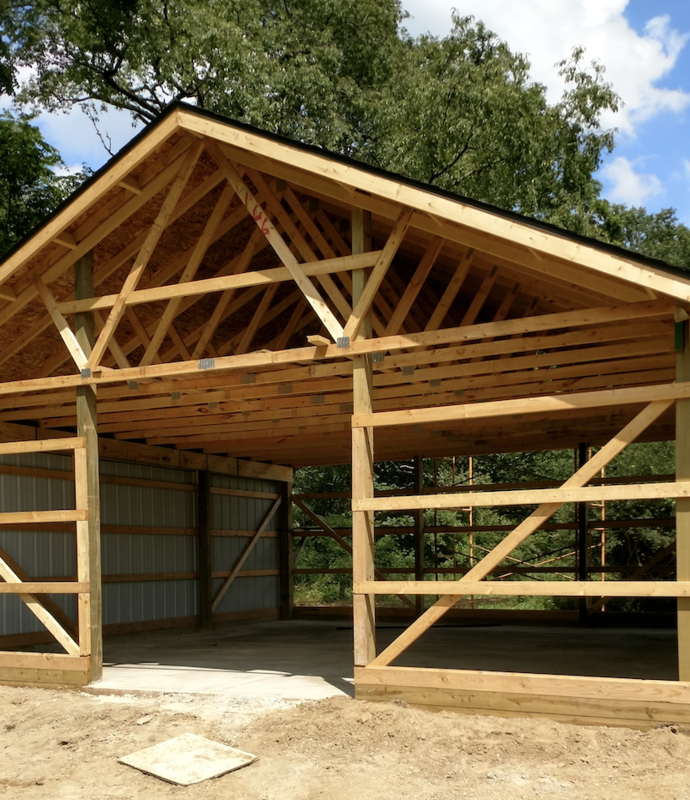 Curious about how pole barns are constructed? 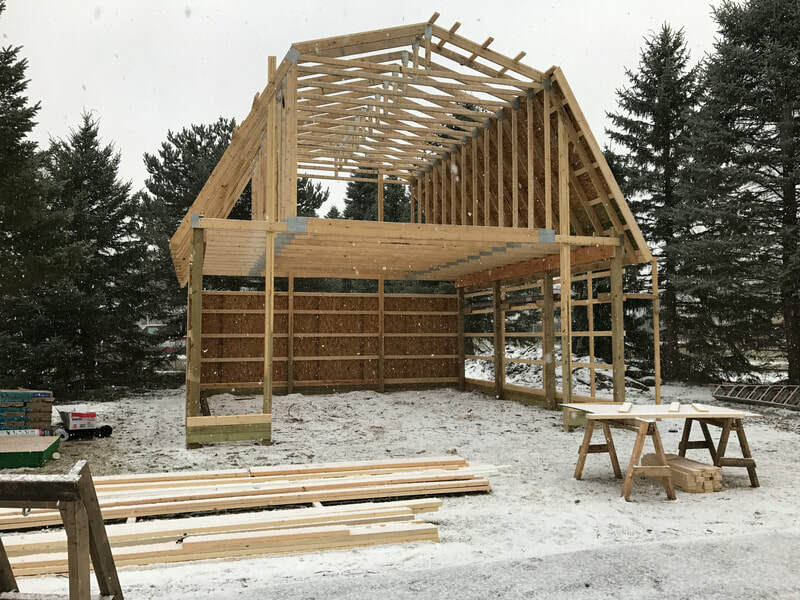 Take a view of a barn in the making. 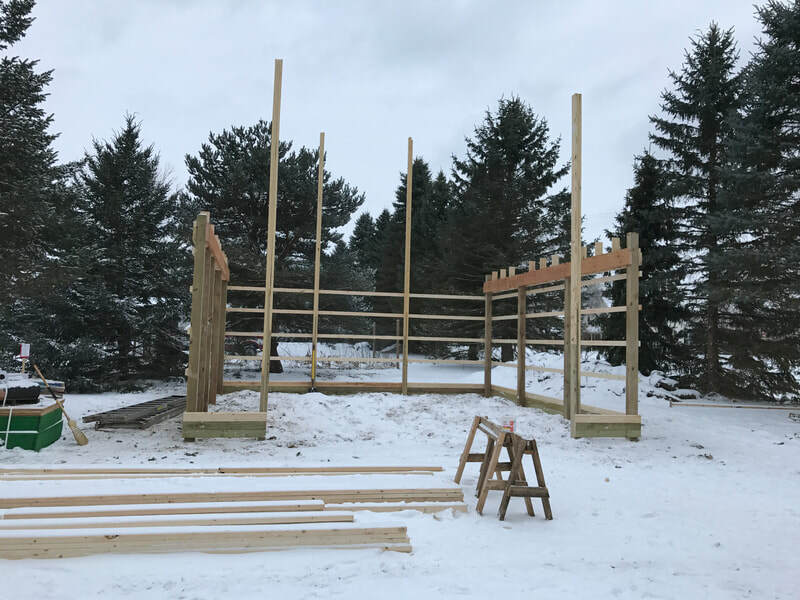 We'll hook you up with an experienced pole barn staff member and building crew create your own masterpiece! 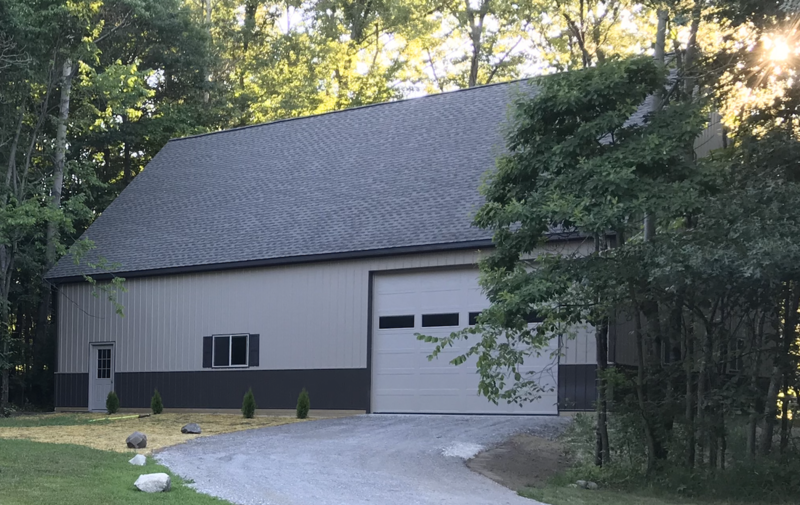 Barn below is a 24'x24' Gambrel style pole barn with shingled roof and vinyl siding. Exterior back stair case leading to attic. Step #4, put on the siding, trim and all the finishing touches! 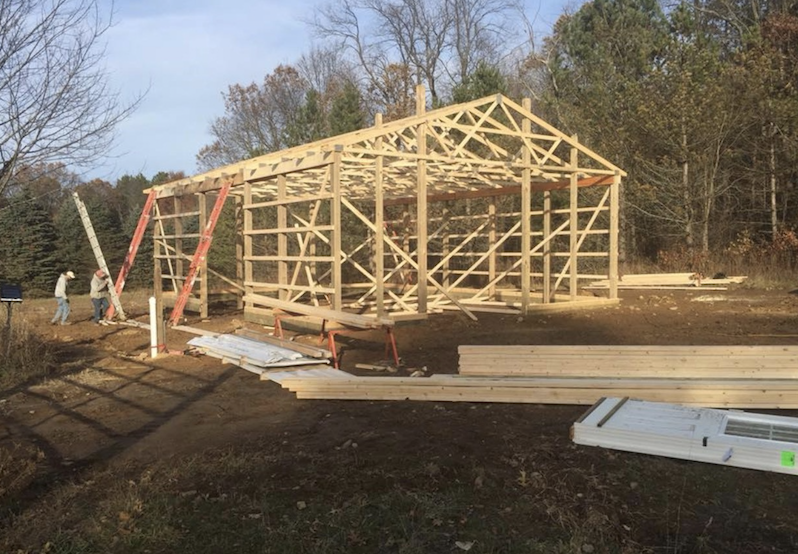 With over 45 years of professional pole barn building experience. ​is built and completed correctly. 2. We offer a turn-key package: from design, estimating, scheduling and construction of your building. *Site prep, pulling permits and concrete work not included. 3. 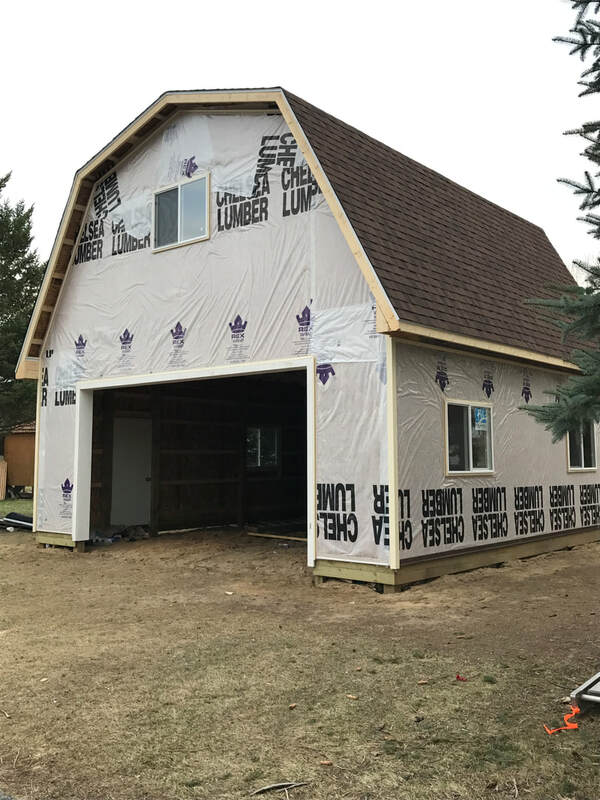 Our design and install crews are committed to carrying forward Chelsea Lumber's High Quality Standards to ensure a professional building experience. Below is a small sample of the custom work that has been designed and constructed by Chelsea Lumber. Please use this as ideas, if you see something you like and want to duplicate it for yourself, great! Have your own ideas of what you are after, please share them with us. 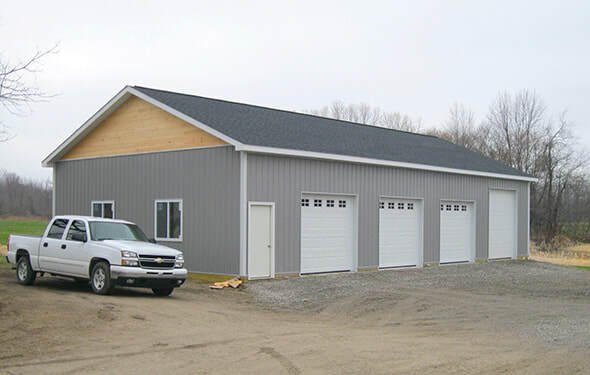 The beauty about custom built pole barns and garages is we design them for YOU with what YOU want. Can we replicate something you have seen before, absolutely, just send us a picture of what you want and we can take it from there.